A 12 month subscription to the Print Edition of WDW Magazine. IMPORTANT: For Gift Subscriptions be sure to use the RECEIVER'S information including EMAIL ADDRESS! The first issue will arrive in 4-8 weeks. This subscription AUTOMATICALLY renews every year. 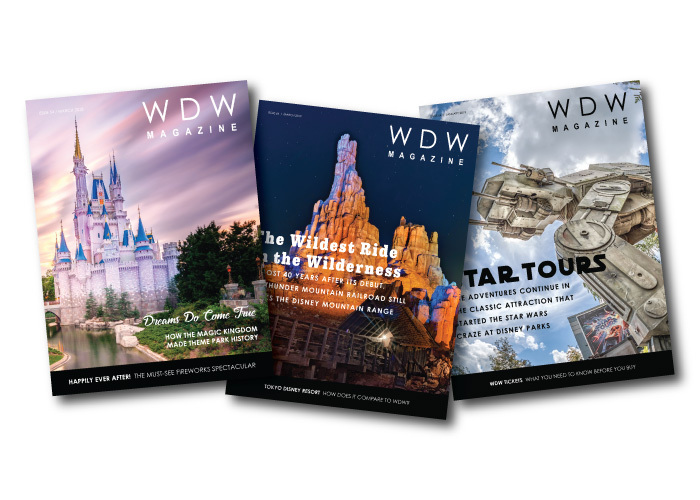 Add the Digital Edition of WDW Magazine for just $2 per month ($24 per year). *Renewal Program: I understand that unless I tell you otherwise, I will receive uninterrupted service and access; my subscription(s) will be automatically renewed at the end of each subscription term. I authorize you to continue my subscription(s) and charge the credit/debit card or PayPal account unless I contact support and cancel my renewal.